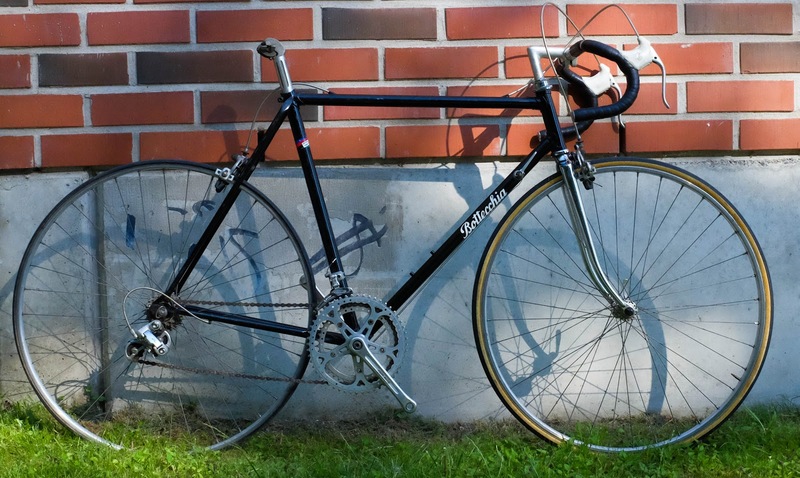 I recently came across this beautiful vintage Bottecchia that really sparked my interest, but as the seller knows nothing about bikes and my untrained eye can't seem to match it with anything in the catalogues I'd really appreciate your help. I know Bottecchia never really had a reputation for making fantastic bikes but I think they made some fairly decent ones once in a while as well. Just wondering if this might be worth a purchase for 170€? Can't wait to hear from all you experts out there! With all due respect, Bottecchia made some of the best mass produced bikes in the world. They typically come equipped with a Columbus frame & Campagnolo groupset. Check this one out. Make sure the seat post isn't stuck. Make sure it isn't cracked or bent. If it's all Campy it's well worth the asking price.